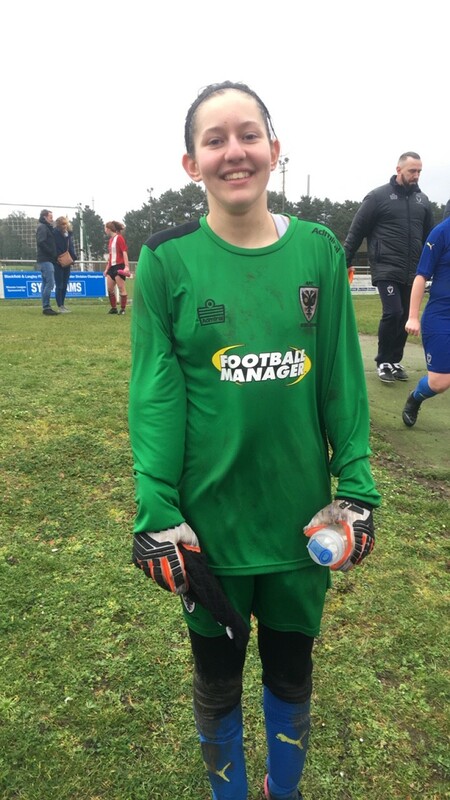 We caught up with our superstar goalkeeper for the U16 Jaguars about her recent signing. Here is Daniella, our U16 Jaguars goalkeeper. 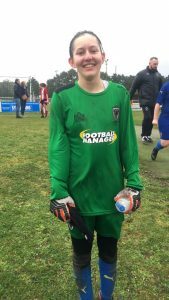 After applying to some of the best teams in the area, Daniella has recently had trials at Fulham, Watford and AFC Wimbledon and was lucky enough to be accepted by all of them to train and develop. Having considered her options, she eventually decided that AFC Wimbledon would help her develop the most as a goalkeeper. She has been asked to sign with the reserves team as well as their Under 16 team. Shs is now training with the U16 team on a Wednesday and the Reserves on a Thursday. Do date she has played three matches with the Reserves team and one with the U16s. So far they have not lost a match! Daniella is lucky enough to still be able to to continue to play at CPR, both now and into next season. We feel lucky too! Photograph taken at the AFC Wimbledon Reserves vs Southampton Reserves away in Southampton, complete with 26mph wind and torrential rain.